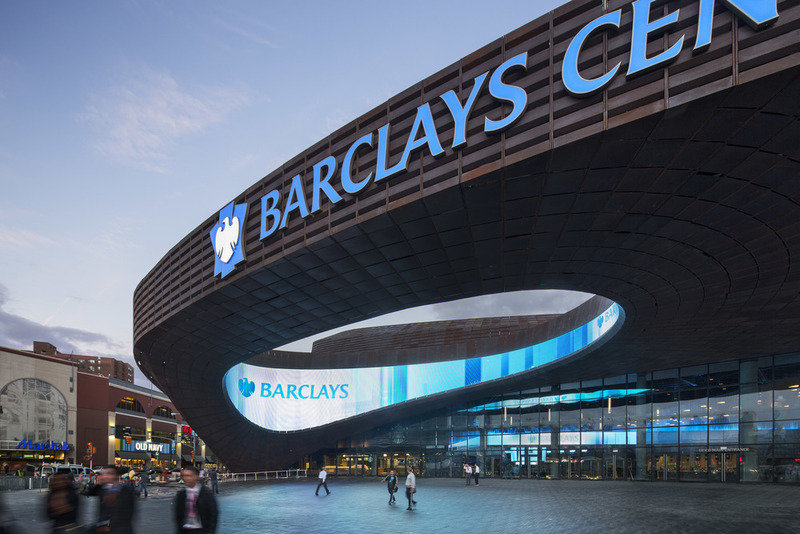 The design of the Barclays Center achieves a striking balance between iconic form and performative engagement with the street. It is legible at multiple scales while maintaining an identity that delights visitors, neighbors, fans, and spectators. The Main Concourse is glazed at the sidewalk level to ensure optimum accessibility and visibility. The civic gesture of the arena is heightened by a spectacular 30’ high canopy containing an oculus that frames the view of the arena. The Main Entrance plaza links Atlantic and Flatbush Avenues, and creates a welcoming, yet grand civic space. 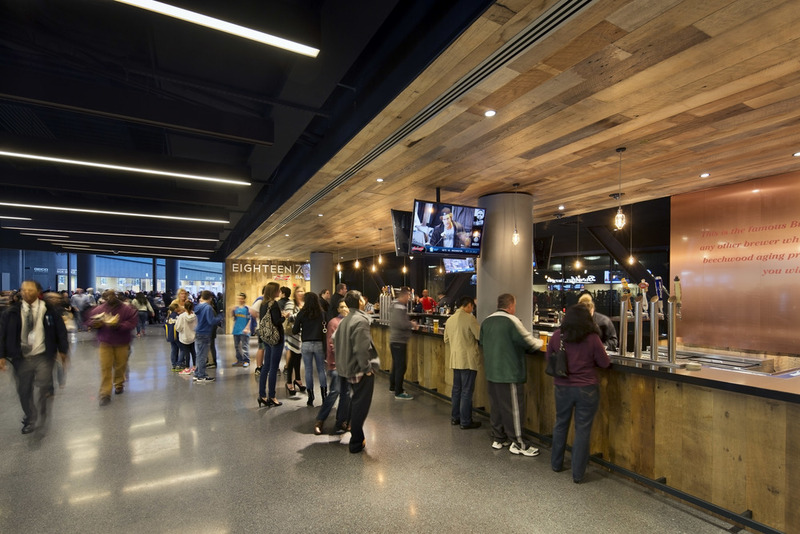 Views of and physical access to the arena are plentiful, easy and accommodating, thus ensuring a strong connection to the surrounding environment. The interior concourses are formed as a continuation of the facade’s parametric spacing. Destination spaces are located off of the concourses and have direct views to showcase zones, which connects the users’ experiences. 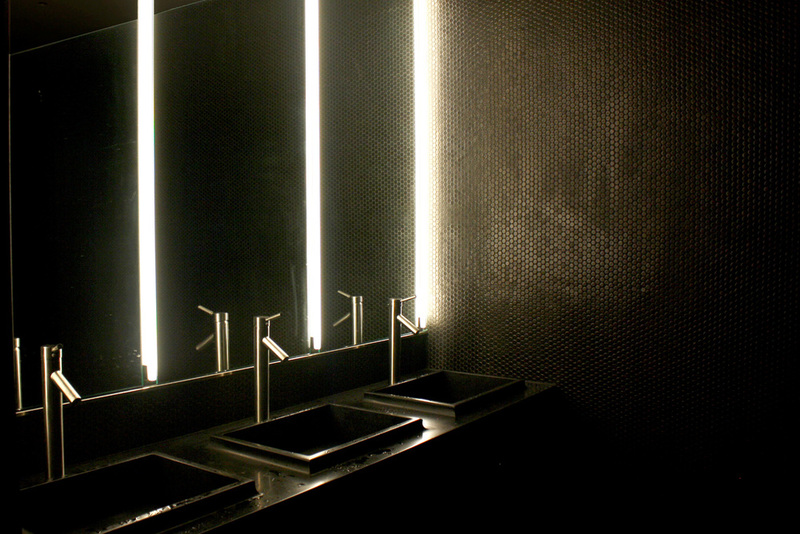 Working closely with the client, we custom designed elements from wall installations to furniture to lighting while keeping in mind sustainability, economy and greater concept of design. My role in this project began with design development and finished with construction administration of all interior spaces. 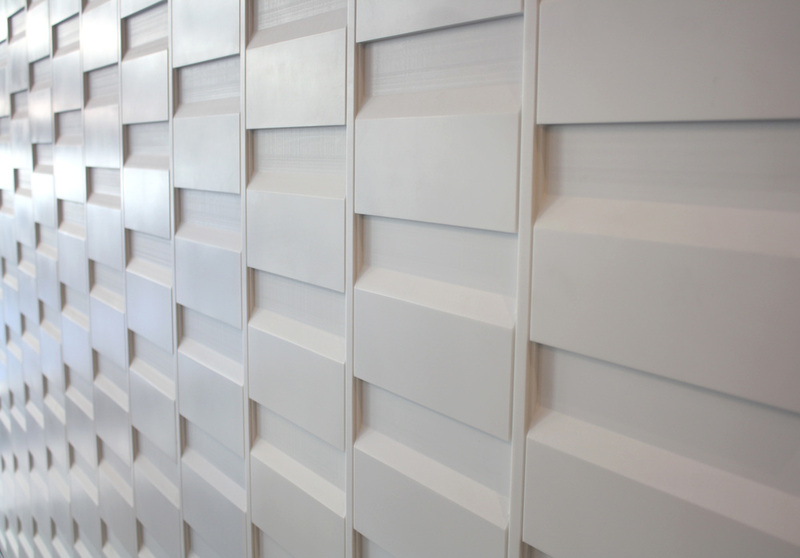 In particular, I developed a script inspired by the exterior panels for the milled corian wall at the VIP Entry, suite ceiling lighting plan, The Vault premium suites, and custom light fixtures at the Courtside Club, among others. I also co-developed the exterior lighting scheme.